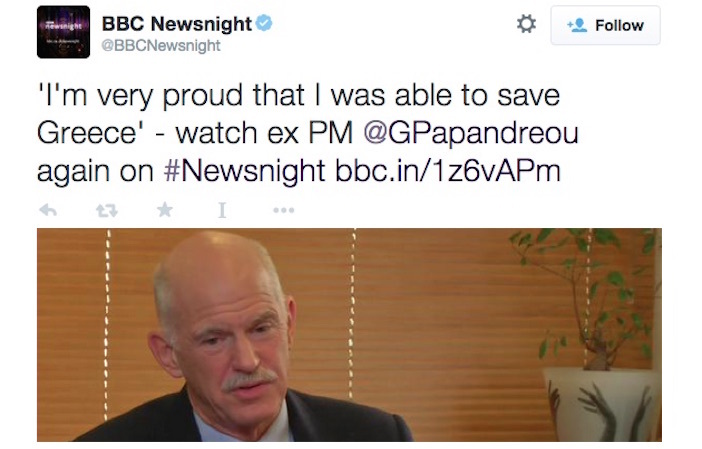 Former Greek Prime Minister George Papandreou told the BBC’s Newsnight programme he does not feel guilty about agreeing to austerity measures imposed by the EU and IMF. “I was able to save Greece from default,” he told the BBC. 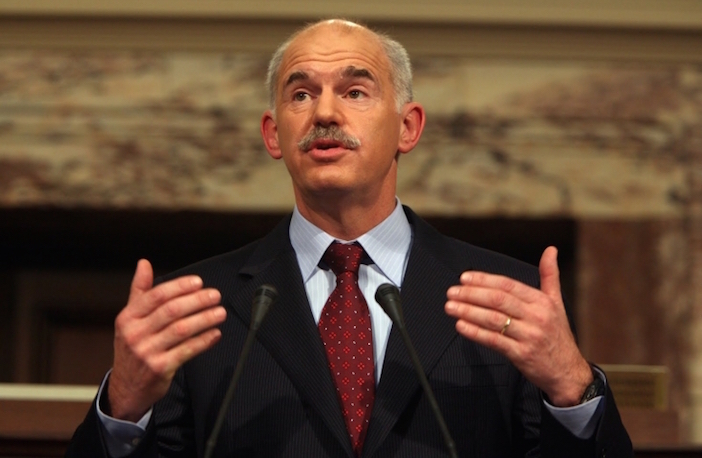 “I may not have been happy with the policies that were imposed on us, but my conscience is clear about what I did.” Mr Papandreou was speaking after the election victory by the radical left-wing Syriza party and election results that left him out of parliament since starting his own political career. Watch the full BBC Newsnight interview here.